With optics you can have the ability to see or detect body heat which is something that makes concealment and camouflage almost useless. An ideal thermal optic is something which is designed to give you a crystal clear view of your target. Thermal scopes usually rely on high refresh rates that will permit you to see moving objects such as the target you are aiming at. Thus, constantly keeping refresh rates in mind is but an important thing to consider when looking for the best thermal scope to buy. And for you to pick the best thermal scope, we also made it possible to come up with the following criteria: complexity, precision, durability and cost. ATN ThOR HD 384 Smart Thermal Riflescope. 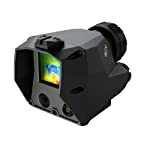 This thermal scope from ATN comes with 384 x 288 sensor and 19mm objective lens focal length. It offers more power, more features and smaller packaging that make it one of the most popular thermal scopes on the market today. With this scope, you can also have the ability to record your perfect shot with its patented recoil activated video. You can also use its smart range finder to quickly range in on your target and allow its ballistic calculator to make instant corrections to your POI on the fly. Pulsar Apex XD38A Thermal Riflescope. This scope from Pulsar works in a wireless manner with the aid of a remote control. It renders 384 x 288 resolution, 50hz refresh rate, a high resolution LCD display, 950mm human detection range, one shot zeroing with freeze function and 4x digital zoom with picture feature. With this thermal scope, you can have the freedom to choose from automatic, semi-automatic or manual modes. Each mode can calibrate the lens in just as fast as one to two seconds. It also comes with updatable software that ensures users can keep on improving their scope’s performance. Sig Sauer Echo 1 Digital Thermal Imaging Reflex Sight. This thermal scope comes with an uncooled VOx microbolometer array, five default reticles and the ability to design or upload new reticles. It also boasts of a color matrix LCD display for daytime or nighttime direct view targeting, black and white hot menu selectable plus color palette. It is also capable to zoom 1x to 2x and its top mount peep sight and Romeo1 adapter plate offer enhanced backup sights. With its complexity, this scope is actually a perfect choice for home defense, military, law enforcement and search and rescue operations. ATN ThOR HD 384 Smart Thermal Riflescope. This scope’s thermal vision system is of topnotch quality and its night vision technology is one of the best on the market today. It is packed with many great features that heighten up your expectations when it comes to accuracy and precision. So, if you are thinking about increasing the effectiveness in your surveillance or hog hunting activity, there is no other option for you than this scope from ATN. Pulsar Apex XD38A Thermal Riflescope. The following are things that allow you to achieve a high level of precision in each of your daytime or nighttime targeting: 384 x 288 resolution, high resolution LCD display, 950m human detection range, one shot zeroing with freeze function and 4x digital zoom with picture feature. This scope’s ability to magnify a reticle picture is ideal for precision aiming while the display’s peripherals maintain the base magnification for a wide field of view for quick consecutive follow up shots. Sig Sauer Echo 1 Digital Thermal Imaging Reflex Sight. This thermal scope from Sig Sauer is the most innovative direct view thermal scope in the world. It is based on the newest generation of thermal imaging sensors this digital scope provides top precision for day and night hunting. 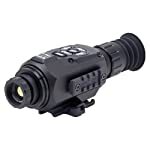 Moreover, this scope functions like a conventional reflex sight that allows you to use both eyes open for intuitive and fast target acquisition with situational awareness that’s greatly improved. ATN ThOR HD 384 Smart Thermal Riflescope. This thermal scope from ATN happens to be a high-end option and when it comes to durability, high-end scopes are indeed highly trusted and reliable. Made from the best materials and extensive construction this scope is an epitome of durability and longevity that you can count on all the time. Pulsar Apex XD38A Thermal Riflescope. This is another high-end type of thermal scope that will not disappoint you as far as overall quality is concerned. Packed with amazing and useful features, this thermal scope from Pulsar is made to last due to its strong build quality and the incorporation of high quality materials during its constructions. As such, this thermal will definitely continue providing you with shooting experiences that are truly top of the line. Sig Sauer Echo 1 Digital Thermal Imaging Reflex Sight. This thermal scope from Sig Sauer is IPX_6 waterproof and designed and assembled in the United States. It’s a perfect choice for home defense, law enforcement, military and search and rescue operations where different kinds of environmental conditions are experienced along the way. ATN ThOR HD 384 Smart Thermal Riflescope. When it comes to price, this thermal scope from ATN happens to be the lowest. And since it’s a high-end type, it is not surprising to see its price at below one thousand and nine hundred and fifty bucks. Pulsar Apex XD38A Thermal Riflescope. This scope from Pulsar comes with the highest price tag. It actually costs less than three thousand bucks – a great pick for users who are willing to spend much for a high-end thermal scope. Sig Sauer Echo 1 Digital Thermal Imaging Reflex Sight. Priced at just below two thousand bucks, this high-end thermal scope happens to stay at the middle of our two other options when it comes to price. All our choices on this list are of high-end quality and this reality is suggested by the prices. Obviously, the Sig Sauer Echo 1 Digital Thermal Imaging Reflex Sight topped the game by garnering the highest scores in terms of complexity and durability. The other two on the other hand, also make an excellent pick for they played fairly well in the game as well. Now you decide.